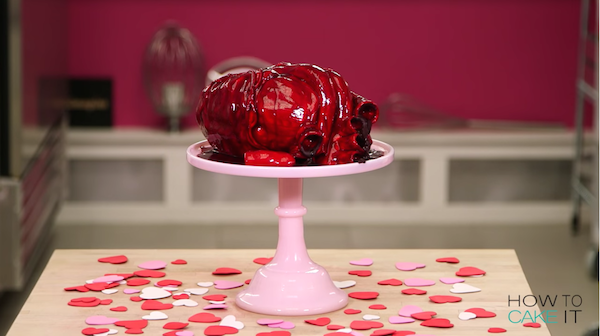 Valentine’s Day is just around the corner, and Yolanda Gampp of How To Cake It has the perfect cake for those left with a broken heart, or would just prefer raw, unabashed love to overly-commercialized versions of it. 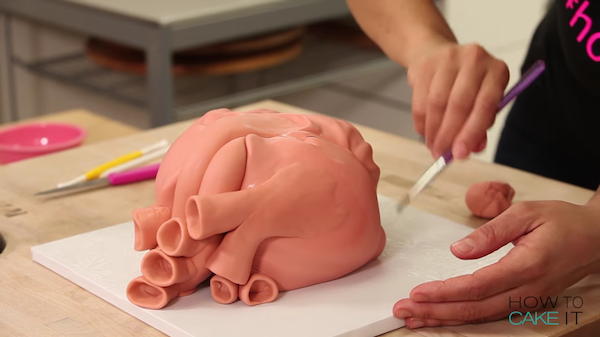 She has made a cake in the shape of a human heart, with red velvet sponge and chocolate ganache. 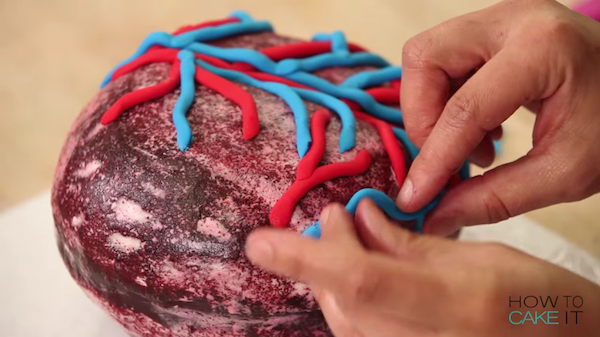 Red and blue fondant is used to replicate veins, pink flesh-colored fondant for the “big tubes”, while raspberry jam is used for blood. Click play on the video below to watch her make it, and head here for the full recipe. 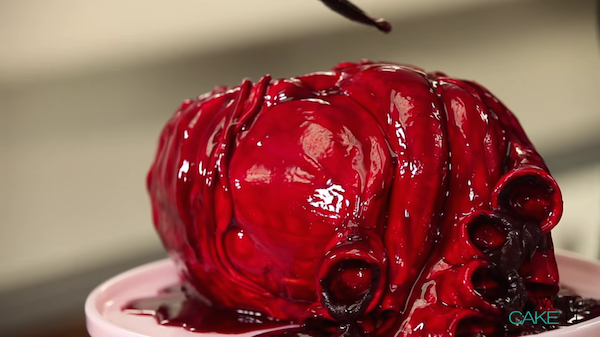 You may also like her ‘turkey cake’ and ‘human brain cake’ creations.